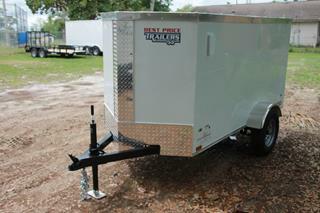 Shop at Florida's #1 trailer dealer for aluminum or enclosed race car trailers, motorcycle trailers and stacker trailers. At BestPriceTrailers.com "We Ship Trailers Nationwide," or you can visit our Florida showroom where we have on the lot specials. We build custom car trailers & stackers for classic and/or race cars with nationwide delivery from the east coast to the west coast. 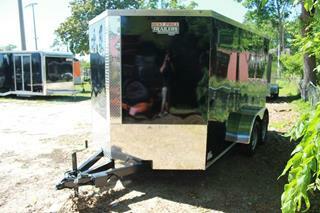 Trust Best Price Trailers to build the best custom trailer for you on the market today. 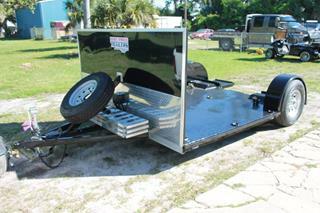 If you are looking for the best price on a car trailer, motorcycle or cargo trailer, call us first at 1-877-258-1445. Not only can our trailer experts help you choose which of these trailer manufacturers to start with, but they will also follow through to make sure your trailer is built to your needs and standards. Car Trailers and Stackers? Yes we can. Motorcycle Trailers? Yes we can. Just tell us how you wish to customize your next trailer and we'll make sure it fits. 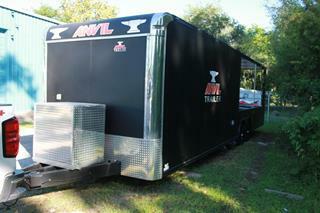 Daytona Beach, Florida showroom trailers are in stock. Are you looking for a cheap trailer, but afraid of getting burned? 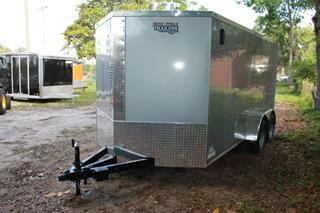 We now offer a line of quality cheap cargo trailers. The nationwide warranty, high quality and full list of standard features is what you deserve in a trailer. Pricing available for pickup at our Daytona Beach, Florida showroom or Georgia/Texas factories. Looking for an exceptional deal on a nice well equipped 24' race trailer, with customized interior/electrical packages and cabinets? We have the deal for you starting at just $10,885 w/ factory pickup. Call us today while the deal is still available. Trailer above is shown with multiple options. 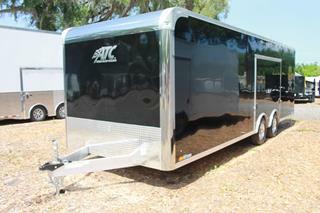 Announcing all new aluminum race car trailers. We have standard 24' aluminum car trailers starting at $8,500. 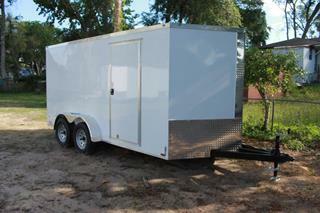 Take advantage of our aluminum trailers as we offer only the best in the industry. Trailer above is shown with multiple options. The Clear Vue Trailer is a big hit especially with car and motorcycle enthusiasts. It provides a great way to show off your hot rod, chopper or apparel and at the same time keep them protected from the crowd gathering around to take a peak. Click here for the . We stock Car Trailers, Motorcycle Trailers, Car Haulers, Aluminum Trailers, Utility Trailers, Equipment Trailers, Dump Trailers, Cargo Trailers, Toy Haulers, Stacker Trailers, Concession Trailers, Garage Homes, Motor Coaches, Toter Homes & Car Dolly’s. I would like to personally thank you for visiting our website, it means a lot today when someone takes the time to look you up out here on the web. Our parts department has over 10,000 trailer parts & accessories in stock! 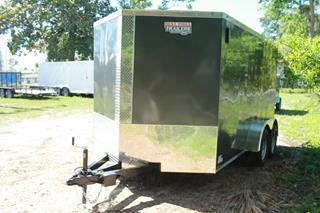 These are the 10 most recent trailers we've listed for sale on the website. This car hauler features a spring assisted rear ramp along with a premium escape door. It has been upgraded with upper and lower cabinets and sports a keyed side entry. 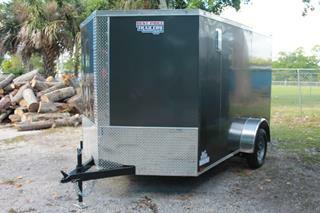 This cargo trailer features rear door along with side air vents. This hybrid trailer features a bathroom along with a sink and kegerator. It comes equipped with an electric awning along with a roof over deck area. This Deck Over Dolly features three aluminum ramps along with a spare tire. 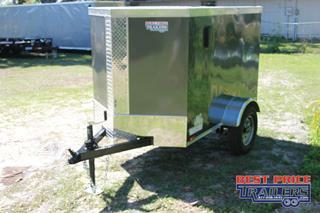 This cargo trailer features a spring assisted rear ramp door along with side air vents. 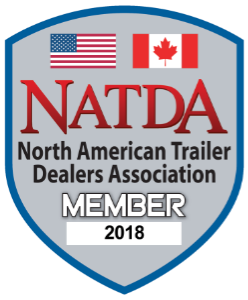 At Best Price Trailers & The Car Shop Trailer Sales "We’re behind you all the way,” from start to finish and for years to come! First Priority: We Listen! We understand that in order to provide the best possible service to our customers, we need to listen to our customer's purpose and reason for buying. 1.PERSONALIZED SERVICE – Our sales staff is trained in qualifying each individual’s trailer needs by asking the appropriate questions. We ensure our customer’s trailer is specific to their required need! 2.WE INFORM, ASSIST, AND ADVISE – We share our experience and knowledge to help our customers make an informed buying decision. 3.OFFER RECOMMENDATIONS – We don’t expect our customers to do our job and that is why we recommend towing/trailer solutions along with parts/accessories for customization before you leave our lot! 4.WE BUILD RELATIONSHIPS – Our relationships with our clients last for years! We follow-up after the sale by providing special sales on parts/accessories and coupons for future purchases!